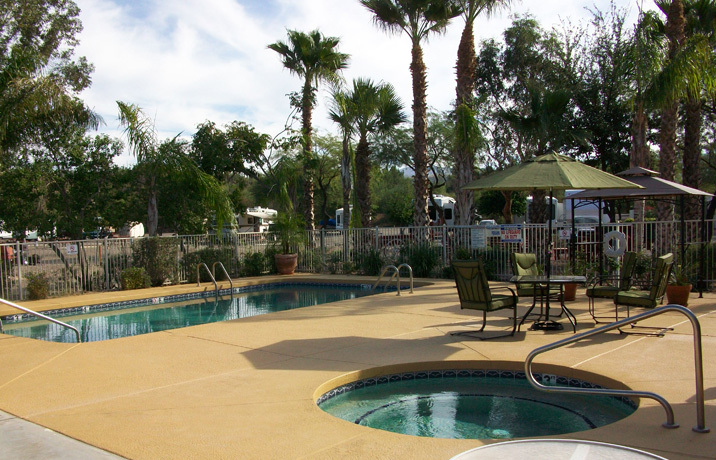 Black Canyon Ranch RV Resort boasts beautiful desert-themed upgraded landscaping that includes historic wagons strategically placed throughout the area. This beautiful 11 acre park contains leafy shade trees and lots of citrus trees for the picking. The stunning sunrises and sunsets give way to a spectacular moon and a clear starlit sky. With Black Canyon bordering on the north, the New River Mountains to our east and the Bradshaw Mountains to our west, the views are simply breathtaking. Facilities include a newly renovated, smoke-free, clubhouse with comfortable lounge furniture, natural gas fireplace, flat screen TV, laundry room, and spa quality restrooms with showers. 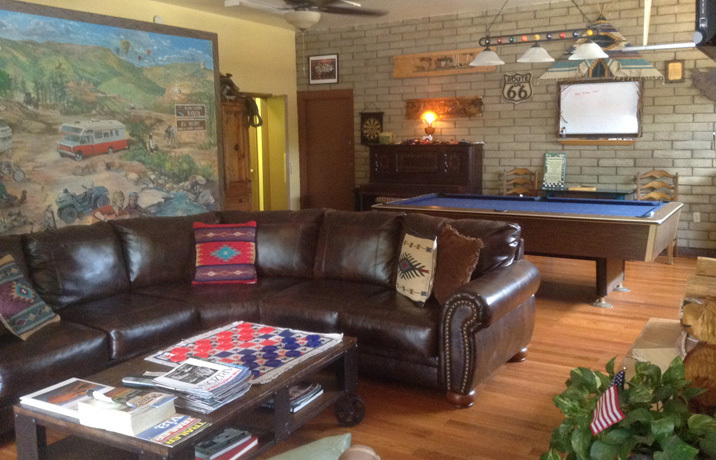 The game room area has a pool table, card tables, and a karaoke machine. The conveniently located adjacent pool area offers gas grills, a sumptuous deck with cushioned lounge chairs and umbrella tables. 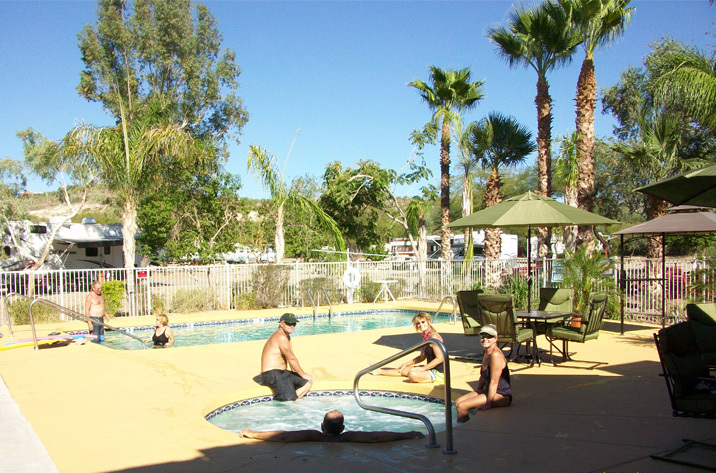 Our year round pool is heated to 86 degrees in the winter and the spa is 101 degrees all the time. Also provided are manicured horseshoe pits and a picnic area complete with a fire pit and tables. Our new Nature Walk is conveniently located at the back of the park next to the Doggie Corral. Nora Jean’s Koffee Kitchen is on the premises as well. This is a great place to join friends, enjoy trained Chef Mat’s delicious food and excellent coffee choices!